You have reached 10 General Fight Challenges! You have completed 3 trials! You have reached 30 Fight Challenges with Jago! You have won 20 ranked matches with Jago! You have unlocked a color for Jago! You have healed 10 health points while in Instinct Mode with Jago! You have earned a supreme Victory in an online match as Jago! You have defeated 10 opponents in one Survival as Jago! You have defeated 6 different characters in online matches as Jago! You have completed 200 matches as Jago! You have won a versus match as Jago! You have won a survival match as Jago! You have reached 30 General Fight Challenges! You have reached 60 General Fight Challenges! You have completed 20 Trials! You have completed 100 Trials! You have completed 16 Dojo Lessons! You have completed 32 Dojo Lessons! You have reached 30 Fight Challenges with Sabrewulf! You have won 20 ranked matches with Sabrewulf! You have unlocked a color for Sabrewulf! you have earned a supreme Victory in an online match as Sabrewulf! You have defeated 10 opponents in one Survival as Sabrewulf! You have defeated 6 different characters in online matches as Sabrewulf! You have completed 200 matches as Sabrewulf! You have won a versus match as Sabrewulf! You have won an exhibition match vs a friend as Sabrewulf! You have won a survival match as Sabrewulf! You have reached 30 Fight Challenges with Glacius! You have won 20 ranked matches with Glacius! You have unlocked a color for Glacius! You have earned a supreme Victory in an online match as Glacius! You have defeated 10 opponents in one Survival as Glacius! You have defeated 6 different characters in online matches as Glacius! You have completed 200 matches as Glacius! You have won a versus match as Glacius! You have won an exhibition match vs a friend as Glacius! You have won a survival match as Glacius! You have reached 30 Fight Challenges with Thunder! You have won 20 ranked matches with Thunder! You have unlocked a color for Thunder! You have earned a supreme Victory in an online match as Thunder! You have defeated 10 opponents in one Survival as Thunder! You have defeated 6 different characters in online matches as Thunder! You have completed 200 matches as Thunder! You have won a versus match as Thunder! You have won an exhibition match vs a friend as Thunder! You have won a survival match as Thunder! You have reached 30 Fight Challenges with Sadira! You have won 20 ranked matches with Sadira! You have unlocked a color for Sadira! You have earned a supreme Victory in an online match as Sadira! You have defeated 10 opponents in one Survival as Sadira! You have defeated 6 different characters in online matches as Sadira! You have completed 200 matches as Sadira! You have won a versus match as Sadira! You have won an exhibition match vs a friend as Sadira! You have won a survival match as Sadira! You have reached 30 Fight Challenges with Orchid! You have won 20 ranked matches with Orchid! You have unlocked a color for Orchid! You have earned a supreme Victory in an online match as Orchid! You have defeated 10 opponents in one Survival as Orchid! You have defeated 6 different characters in online matches as Orchid! You have completed 200 matches as Orchid! You have won a versus match as Orchid! You have won an exhibition match vs a friend as Orchid! You have won a survival match as Orchid! You have won an exhibition match vs a friend as Jago! You have reached 150 Fight Challenges with Jago! You have reached 150 Fight Challenges with Sabrewulf! You have reached 150 Fight Challenges with Thunder! You have reached 150 Fight Challenges with Sadira! You have reached 150 Fight Challenges with Orchid! You have reached 80 Fight Challenges with Jago! You have reached 80 Fight Challenges with Sabrewulf! You have reached 80 Fight Challenges with Glacius! You have reached 80 Fight Challenges with Thunder! You have reached 80 Fight Challenges with Sadira! You have reached 80 Fight Challenges with Orchid! You have won a ranked match as Jago! You have won a ranked match as Sabrewulf! You have won a ranked match as Glacius! You have won a ranked match as Thunder! You have won a ranked match as Sadira! You have won a ranked match as Orchid! You have reached 150 Fight Challenges with Glacius! You have reached 30 Fight Challenges with Spinal! You have won 20 ranked matches with Spinal! You have unlocked a color for Spinal! You have earned a Supreme Victory in an online match as Spinal! You have defeated 10 opponents in one Survival as Spinal! You have defeated 6 different characters in online matches as Spinal! You have completed 200 matches as Spinal! You have won a versus match as Spinal! You have won an exhibition match vs a friend as Spinal! You have won a survival match as Spinal! You have reached 150 Fight Challenges with Spinal! You have won a ranked match as Spinal! You have reached 30 Fight Challenges with Fulgore! You have won 20 ranked matches with Fulgore! You have unlocked a color for Fulgore! You have earned a Supreme Victory in an online match as Fulgore! You have defeated 10 opponents in one Survival as Fulgore! You have defeated 6 different characters in online matches as Fulgore! You have completed 200 matches as Fulgore! You have won a versus match as Fulgore! You have won an exhibition match vs a friend as Fulgore! You have won a survival match as Fulgore! You have reached 150 Fight Challenges with Fulgore! You have reached 80 Fight Challenges with Fulgore! You have won a ranked match as Fulgore! You hit an opponent with the Devastation Beam. You have reached 30 Fight Challenges with TJ Combo! You have won 20 ranked matches with TJ Combo! You have unlocked a color for TJ Combo! You have earned a Supreme Victory in an online match as TJ Combo! You have defeated 10 opponents in one Survival as TJ Combo! You have defeated 6 different characters in online matches as TJ Combo! You have completed 200 matches as TJ Combo! You have won a versus match as TJ Combo! You have won an exhibition match vs a friend as TJ Combo! You have won a survival match as TJ Combo! You have reached 150 Fight Challenges with TJ Combo! You have reached 80 Fight Challenges with TJ Combo! You have won a ranked match as TJ Combo! You have reached 30 Fight Challenges with Maya! You have won 20 ranked matches with Maya! You have unlocked a color for Maya! You have earned a Supreme Victory in an online match as Maya! You have defeated 10 opponents in one Survival as Maya! You have defeated 6 different characters in online matches as Maya! You have completed 200 matches as Maya! You have won a versus match as Maya! You have won an exhibition match vs a friend as Maya! You have won a survival match as Maya! You have reached 150 Fight Challenges with Maya! You have reached 80 Fight Challenges with Maya! You have won a ranked match as Maya! You landed 10 Dagger Strikes during Maya's Instinct! You have reached 30 fight Challenges with Kan-Ra! You have won 20 ranked matches with Kan-Ra! You have unlocked a color for Kan-Ra! You have earned a Supreme Victory in an online match as Kan-Ra! You have defeated 10 opponents in one Survival as Kan-Ra! You have defeated 6 different characters in online matches as Kan-Ra! You have won a versus match as Kan-Ra! You have won an exhibition match vs a friend as Kan-Ra! You have won a survival match as Kan-Ra! You have reached 150 Fight Challenges with Kan-Ra! You have reached 80 Fight Challenges with Kan-Ra! You have won a ranked match as Kan-Ra! You performed 5 Super Jumps and Toss 5 Tornadoes while in Kan-Ra's Instinct Mode! You have won 20 ranked matches with Riptor! You have won a ranked match as Riptor! You have won an exhibition match vs a friend as Riptor! You have reached 80 Fight Challenges with Riptor! You have completed 200 matches as Riptor! You have reached 150 Fight Challenges with Riptor! You have reached 30 Fight Challenges with Riptor! You have defeated 10 opponents in one Survival as Riptor! You have defeated 6 different characters in online matches as Riptor! You have won a versus match as Riptor! You have unlocked a Color for Riptor! You have earned a Supreme Victory in an online match as Riptor! You have won a survival match as Riptor! You landed 3 Flame Attacks and 3 Tail Swipes while in Riptor's Instinct Mode! You landed 20 Rashakukens in one fight against an opponent in any mode as Omen! You landed 500 Rashakukens total against opponents in any mode as Omen! You successfully landed the Demonic Despair on an opponent in any mode as Omen! You missed the Demonic Despair but won the round anyway in any mode as Omen! You completed a combo that dealt 85% or more damage in any mode as Omen! You Completed the Season 1 Mural! You have reached 30 fight Challenges with Aganos! You have won 20 ranked matches with Aganos! You have unlocked a color for Aganos! You have earned a Supreme Victory in an online match as Aganos! You have defeated 10 opponents in one Survival as Aganos! You have defeated 6 different characters in online matches as Aganos! You have completed 200 matches as Aganos! You have won a versus match as Aganos! You have won an exhibition match vs a friend as Aganos! You have won a survival match as Aganos! You have reached 150 Fight Challenges with Aganos! You have reached 80 Fight Challenges with Aganos! You have won a ranked match as Aganos! You hit your opponent 5 times with Peacemaker while in Aganos' Instinct Mode! You have reached 30 fight Challenges with Hisako! You have won 20 ranked matches with Hisako! You have unlocked a color for Hisako! You have earned a Supreme Victory in an online match as Hisako! You have defeated 10 opponents in one Survival as Hisako! You have defeated 6 different characters in online matches as Hisako! You have completed 200 matches as Hisako! You have won a versus match as Hisako! You have won an exhibition match vs a friend as Hisako! You have won a survival match as Hisako! You have reached 150 Fight Challenges with Hisako! You have reached 80 Fight Challenges with Hisako! You have won a ranked match as Hisako! You performed Vengeance 5 times and landed 5 Wrath Counter Hits while in Hisako's Instinct Mode! You have reached 30 fight Challenges with Cinder! You have won 20 ranked matches with Cinder! You have unlocked a color for Cinder! You have earned a Supreme Victory in an online match as Cinder! You have defeated 10 opponents in one Survival as Cinder! You have defeated 6 different characters in online matches as Cinder! You have completed 200 matches as Cinder! You have won a versus match as Cinder! You have won an exhibition match vs a friend as Cinder! You have won a survival match as Cinder! You have reached 150 Fight Challenges with Cinder! You have reached 80 Fight Challenges with Cinder! You have won a ranked match as Cinder! You hit your opponent 5 times with Special Attacks while in Cinder's Instinct Mode! You have reached 30 fight Challenges with ARIA! You have won 20 ranked matches with ARIA! You have unlocked a color for ARIA! You have earned a Supreme Victory in an online match as ARIA! You have defeated 10 opponents in one Survival as ARIA! You have defeated 6 different characters in online matches as ARIA! You have completed 200 matches as ARIA! You have won a versus match as ARIA! You have won an exhibition match vs a friend as ARIA! You have won a survival match as ARIA! You have reached 150 Fight Challenges with ARIA! You have reached 80 Fight Challenges with ARIA! You have won a ranked match as ARIA! You hit your opponent with Crescendo, Allegro, and Dissonance while in ARIA's Instinct Mode! You activated Your First Shadow. You Recorded 15 Matches for a Single Shadow. You Defeated 25 Shadows in Shadow Survival Mode. Your Shadow reached 20 matches played. Your Shadow reached 100 matches played! You Avenged 25 Shadow Bounties. You have reached 30 fight Challenges with Shadow Jago! You have won 20 ranked matches with Shadow Jago! You have unlocked a color for Shadow Jago! You have earned a Supreme Victory in an online match as Shadow Jago! You have defeated 10 opponents in one Survival as Shadow Jago! You have defeated 6 different characters in online matches as Shadow Jago! You have completed 200 matches as Shadow Jago! You have won a versus match as Shadow Jago! You have won an exhibition match vs a friend as Shadow Jago! You have won a survival match as Shadow Jago! You have reached 150 Fight Challenges with Shadow Jago! You have reached 80 Fight Challenges with Shadow Jago! You have won a ranked match as Shadow Jago! You've played all 10 Qualifying Matches! You have reached 30 fight Challenges with Tusk! You have won 20 ranked matches with Tusk! You have unlocked a color for Tusk! You have earned a Supreme Victory in an online match as Tusk! You have defeated 10 opponents in one Survival as Tusk! You have defeated 6 different characters in online matches as Tusk! You have completed 200 matches as Tusk! You have won a versus match as Tusk! You have won an exhibition match vs a friend as Tusk! You have won a survival match as Tusk! You have reached 150 Fight Challenges with Tusk! You have reached 80 Fight Challenges with Tusk! You have won a ranked match as Tusk! You've Skewered an opponent 5 times in a match in any mode. You have reached 30 fight Challenges with Arbiter! You have won 20 ranked matches with Arbiter! You have unlocked a color for Arbiter! You have earned a Supreme Victory in an online match as Arbiter! You have defeated 10 opponents in one Survival as Arbiter! You have defeated 6 different characters in online matches as Arbiter! You have completed 200 matches as Arbiter! You have won a versus match as Arbiter! You have won an exhibition match vs a friend as Arbiter! You have won a survival match as Arbiter! You have reached 150 Fight Challenges with Arbiter! You have reached 80 Fight Challenges with Arbiter! You have won a ranked match as Arbiter! You have reached 30 fight Challenges with Rash! You have won 20 ranked matches with Rash! You have unlocked a color for Rash! You have earned a Supreme Victory in an online match as Rash! You have defeated 10 opponents in one Survival as Rash! You have defeated 6 different characters in online matches as Rash! You have completed 200 matches as Rash! You have won a versus match as Rash! You have won an exhibition match vs a friend as Rash! You have won a survival match as Rash! You have reached 150 Fight Challenges with Rash! You have reached 80 Fight Challenges with Rash! You have won a ranked match as Rash! You have reached 30 fight Challenges with Kim Wu! You have won 20 ranked matches with Kim Wu! You have unlocked a color for Kim Wu! You have earned a Supreme Victory in an online match as Kim Wu! You have defeated 10 opponents in one Survival as Kim Wu! You have defeated 6 different characters in online matches as Kim Wu! You have completed 200 matches as Kim Wu! You have won a versus match as Kim Wu! You have won an exhibition match vs a friend as Kim Wu! You have won a survival match as Kim Wu! You have reached 150 Fight Challenges with Kim Wu! You have reached 80 Fight Challenges with Kim Wu! You have won a ranked match as Kim Wu! You have reached 30 fight Challenges with Mira! You have won 20 ranked matches with Mira! You have unlocked a color for Mira! You have earned a Supreme Victory in an online match as Mira! You have defeated 10 opponents in one Survival as Mira! You have defeated 6 different characters in online matches as Mira! You have completed 200 matches as Mira! You have won a versus match as Mira! You have won an exhibition match vs a friend as Mira! You have won a survival match as Mira! You have reached 150 Fight Challenges with Mira! You have reached 80 Fight Challenges with Mira! You have won a ranked match as Mira! You restored more than 50% of Mira's Recoverable Damage in a single match! You have reached 30 fight Challenges with Gargos! You have won 20 ranked matches with Gargos! You have unlocked a color for Gargos! You have earned a Supreme Victory in an online match as Gargos! You have defeated 10 opponents in one Survival as Gargos! You have defeated 6 different characters in online matches as Gargos! You have completed 200 matches as Gargos! You have won a versus match as Gargos! You have won an exhibition match vs a friend as Gargos! You have won a survival match as Gargos! You have reached 150 Fight Challenges with Gargos! You have reached 80 Fight Challenges with Gargos! You have won a ranked match as Gargos! You broke two combos using Eruption in a single match while in Gargos’ Instinct Mode! You have reached 30 fight Challenges with General RAAM! You have won 20 ranked matches with General RAAM! You have unlocked a color for General RAAM! You have earned a Supreme Victory in an online match as General RAAM! You have defeated 10 opponents in one Survival as General RAAM! You have defeated 6 different characters in online matches as General RAAM! You have completed 200 matches as General RAAM! You have won a versus match as General RAAM! You have won an exhibition match vs a friend as General RAAM! You have won a survival match as General RAAM! You have reached 150 Fight Challenges with General RAAM! You have reached 80 Fight Challenges with General RAAM! You have won a ranked match as General RAAM! You dealt 70% damage a single combo during General RAAM’s Instinct Mode! You have reached 30 fight Challenges with Eyedol! You have won 20 ranked matches with Eyedol! You have unlocked a color for Eyedol! You have earned a Supreme Victory in an online match as Eyedol! You have defeated 10 opponents in one Survival as Eyedol! You have defeated 6 different characters in online matches as Eyedol! You have completed 200 matches as Eyedol! You have won a versus match as Eyedol! You have won an exhibition match vs a friend as Eyedol! You have won a survival match as Eyedol! You have reached 150 Fight Challenges with Eyedol! You have reached 80 Fight Challenges with Eyedol! You have won a ranked match as Eyedol! You performed STAY AWAKE! 6 times while in Instinct mode! You completed a Shadow Lords mission with a Guardian equipped! You recruited an agent of UltraTech to your Shadow Lords team! You completed 10 Shadow Lords missions using 3 team members! You removed all of Gargos' buffs in a Shadow Lords playthrough! You defeated Gargos in Shadow Lords mode! The world is saved! You crafted 30 items in the Shadow Lords Emporium! You purchased 25 Packs in the Shadow Lords Emporium! You collected Daily Rewards 15 times in Shadow Lords mode! You successfully completed 150 Shadow Lords missions! You completed a Shadow Lords playthrough without dying! You defeated Gargos with 4 or more buffs in Shadow Lords mode! You defeated Gargos on Godlike difficulty! You earned 10,000 Astral Gems in Shadow Lords mode! You collected Daily Rewards 50 times in Shadow Lords mode! You collected all tiers of one Guardian in Shadow Lords mode! You fed the same Guardian 500 Astral Energy in Shadow Lords mode! You drained 3000 Health, Shadow, or Instinct with the Vampire Bat Guardian in Shadow Lords mode! You inflicted 1500 Poison damage with the Snake Guardian in Shadow Lords mode! You parried 100 attacks with the Exemplar Guardian in Shadow Lords mode! You performed 100 Psychic Breakers with the Ram Guardian in Shadow Lords mode! You defeated 250 Mimics in Shadow Lords mode! You reached Day 20 in Shadow Lords mode! You won a wager against an opponent in Shadow Lords mode! You collected both Ancient Relics in Shadow Lords mode! You inflicted 200% damage on a Tank Chest in Shadow Lords mode! You unlocked 5 Skeleton Chests in Shadow Lords mode! You collected 50 different items in your Shadow Lords Storage! You crafted 250 items in the Shadow Lords Emporium! You used a healing Artifact 100 times in Shadow Lords mode! You revived a character 25 times in Shadow Lords mode! You collected 5 different types of Guardian in Shadow Lords mode! You generated 150 stacks of armor with the Fractured Ward Guardian in Shadow Lords mode! You have reached 30 fight Challenges with Kilgore! You have reached 80 Fight Challenges with Kilgore! 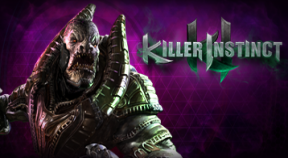 You have reached 150 Fight Challenges with Kilgore! You have won a ranked match as Kilgore! You have won 20 ranked matches with Kilgore! You have unlocked a color for Kilgore! You have earned a Supreme Victory in an online match as Kilgore! You have defeated 10 opponents in one Survival as Kilgore! You have defeated 6 different characters in online matches as Kilgore! You have completed 200 matches as Kilgore! You have won a versus match as Kilgore! You have won an exhibition match vs a friend as Kilgore! You have won a survival match as Kilgore! You hit the opponent with 64 Chain Gun bullets while in Instinct Mode! You have reached 30 fight Challenges with Shin Hisako! You have won 20 ranked matches with Shin Hisako! You have unlocked a color for Shin Hisako! You have earned a Supreme Victory in an online match as Shin Hisako! You have defeated 10 opponents in one Survival as Shin Hisako! You have defeated 6 different characters in online matches as Shin Hisako! You have completed 200 matches as Shin Hisako! You have won a versus match as Shin Hisako! You have won an exhibition match vs a friend as Shin Hisako! You have won a survival match as Shin Hisako! You have reached 150 Fight Challenges with Shin Hisako! You have reached 80 Fight Challenges with Shin Hisako! You have won a ranked match as Shin Hisako! You grabbed the opponent with Eternal Descent while in Shin Hisako's Instinct Mode! You have reached 30 Fight Challenges with Eagle! You have won 20 ranked matches with Eagle! You have unlocked a color for Eagle! You have earned a Supreme Victory in an online match as Eagle! You have defeated 10 opponents in one Survival as Eagle! You have defeated 6 different characters in online matches as Eagle! You have completed 200 matches as Eagle! You have won a versus match as Eagle! You have won an exhibition match vs a friend as Eagle! You have won a survival match as Eagle! You have reached 150 Fight Challenges with Eagle! You have reached 80 Fight Challenges with Eagle! You have won a ranked match as Eagle! You hit your opponent with 10 Peck attacks while in Eagle's Instinct Mode!